As I head for a theatrical jaunt to London, do enjoy a look back at the week just passed! Some relaxing melodies to soothe! A year of victories from the pen of Antoine Vanner. Join Miranda Reading for a turn around the garden! Sarah Siddons plays Lady Macbeth. The term "showbiz legend" is much bandied about these days when it comes to the world of entertainment, sometimes with less reason than others. 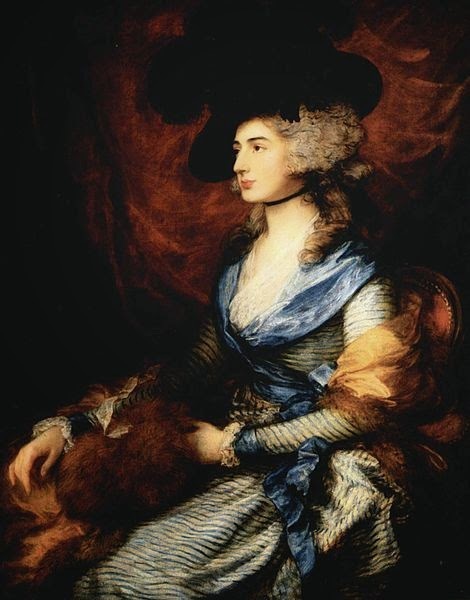 Sarah Siddons, the first lady of the Georgian stage, was truly deserving of that lofty title. From humble beginnings she rose to the pinnacle of her craft, leaving her adoring fans gripped with Siddons fever as they flocked to her performances in droves. Famed as a tragedian, she will forever be associated with one particular role, that of Shakespeare's Lady Macbeth. 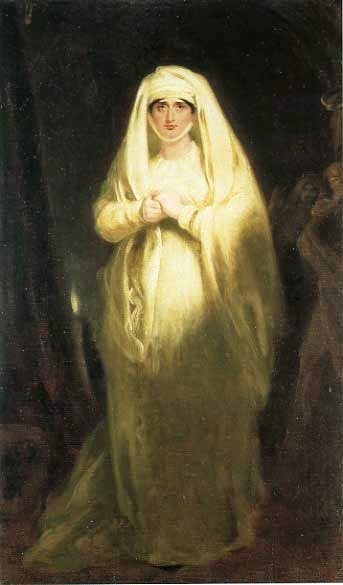 When the celebrated Mrs Siddons played the lady of Dunsinane for the first time on 2nd February 1785, she was just 29 years old. With her tall, commanding figure and strikingly handsome looks Siddons made an instant and lasting impact; she would return to the role multiple times over the four decades that followed, making the part entirely her own. The majestic actress was known for the passion and fervour of her performances, bringing a deep understanding to each role as she practised the method of her day. Theatrical legend has it that, so intense was her portrayal and so blazing the look in her eyes, swooning ladies in the audience had to be carried from the theatre in order to recover their composure. The essayist, William Hazlitt, famously wrote that Siddons was "tragedy personified", a sentiment with which her fans certainly agreed. In fact, away from the stage her life contained tragedy enough to inspire a thousand such performances. Her marriage to William Siddons ended in separation and five of their seven children predeceased their mother. She channelled her unhappiness into performances of startling intensity, focusing particularly on the famous hand washing scene. Siddons broke with tradition by setting down Lady Macbeth's candle to instead concentrate on repeated, hypnotising motions as she washed the blood from her hands again and again. In her essay, Remarks on the Character of Lady Macbeth, Siddons shares her thoughts on the role and the reasoning behind her own stylistic choices. She displays a rich understanding of Lady Macbeth, whom she considers to be "made by ambition, but not by nature, a perfectly savage creature". The essay makes for fascinating reading, offering deep insight into this most remarkable actress and the way in which she approached her roles. Georgian theatre is occasionally depicted as an almost ridiculous place, with overblown performances and overheated thespians but in Remarks on the Character of Lady Macbeth we are privy to share what would appear to be a modern approach to the text, with Siddons examining dialogue, movement and psychology in her efforts to inhabit the role. After a long and celebrated career, Sarah Siddons gave her farewell performance in the role that she had made her own at the Covent Garden Theatre on 29th June 1812. The reaction of the audience to the sleepwalking scene was so rapturous that they gave an ovation that seemed as though it might never end, forcing the curtain down. After a short delay in which the adoring applause continued, the curtains opened again to show Sarah sitting on stage in her own clothes, no longer in character. Once the crowds finally fell silent she gave a farewell speech of almost ten minutes in length, the actress as overcome with emotion as the audience who adored her. It is an honour and a privilege to welcome Antoine Vanner to the salon today to discuss 1759, a most remarkable year. Antoine has been a friend to the blog from its earliest days and I am thrilled to share his wonderful work with you! The consequences of this war are still with us today – not least as regards the status of Canada – and it confirmed Britain as a world power. A constant reminder of this today is "Heart of Oak, the official march of Britain’s Royal Navy, of the Royal Canadian Navy and of the Royal New Zealand Navy. "Heart of Oak" started however as the most successful popular song of its time, not only because of its memorable tune but for the robust and confident humour of the lyrics. The title refers to the strongest wood at the centre of the oak, from which Britain’s sailing navy was constructed. The words were written by the greatest actor of his time, David Garrick, and the music was composed by a Dr. William Boyce. Its first public performance was on New Year’s Day 1760, in the Theatre Royal in London’s Drury Lane. It was sung by Samuel Thomas Champnes, one of Handel's soloists, and was part of a pantomime written by Garrick entitled "Harlequin's Invasion". We always are ready: Steady, boys, Steady! We'll fight and we'll conquer again and again! 18th and 19th August: In the Battle of Lagos, off the Portuguese coast, the Royal Navy decisively defeats a French fleet attempting to pass from the Mediterranean to the French Atlantic coast to join naval units gathering there to support an invasion force intended for Britain. 13th September 1759: British attempts to capture Quebec, the centre of French power in North America, culminate in a 15-minute battle on “The Plains of Abraham” outside the city following a stealthy amphibious landing and a surprise approach via an “impossible” route. The French evacuate the city and never regained the initiative. French Canada is effectively lost forever. 20th November 1759: In the Battle of Quiberon Bay the French naval forces gathered to cover the intended invasion of Britain were smashed by a Royal Navy fleet commanded by Sir Edward Hawke. The locale was on the French Atlantic coast, near St.Nazaire, where rocks and shoals were as great a hazard as the enemy. Hawke nevertheless took his force close inshore in appalling weather and inflicted a crushing defeat that ended all French hopes of invasion. Our soldiers and sailors, our statesmen and king! 22nd January 1760: At Wandiwash (today known as Vandavasi, in Tamil Nadu) in the main French army in India was comprehensively beaten by a British force. French ambitions in India were dealt a blow from which they never recovered and the battle confirmed Britain as the new power on the sub-continent. Nor was this the end of major British victories. On 14th August 1762 Havana in Cuba was captured from the Spanish, who also lost Manilla in the Philippines on 10th October 1762. The war was ended by the Treaties of Paris and of Hubertusburg in early 1763. Both Britain and France returned much of the territory they had captured. (A great “What If?” of history is what the consequences would have been of Britain retaining Havana and Manilla). There was a major exception however: France was so keen to regain the sugar islands of the Caribbean which it has lost to Britain during the war that it was willing to cede all of its territory in mainland North America in return for getting them back. These tiny sugar-producing islands were regarded of immeasurably greater economic value than Canada, described memorably by Voltaire as "Quelques arpents de neige - Some acres of snow". The decision was as short-sighted as the later Russian sale of Alaska. For if they won't fight us, what can we do more? Thank you, David Garrick and William Boyce! Antoine Vanner has lived long-term in eight countries and has travelled extensively in every continent except Antarctica. He has particularly relished his exposure to developing countries where there are few certainties as regards security or social stability. This gave him a particular interest in situations of moral ambiguity, as is reflected in his adventure novels set in the Late-Victorian Era. Written content of this post copyright © Antoine Vanner, 2015. To ease you into the week, here is a little something by Barthélémon; you can read of his remarkable life by clicking here. I am off for a theatrical jaunt to London this weekend, but I hope you will find something in the selection below to entertain! The seafaring Katherine Bone takes us aboard HMS Victory. Mimi Matthews shares a tale of one man and his dog. Composer and oboist Alessandro Besozzi, was born on this day in Parma. A celebrated man of music, he was a particular favourite at Versailles and I hope this wonderful example of his music will soothe your Wednesday! I'm honoured to welcome Katherine Bone, a friend of the Salon for many a long month, with a post on the iconic ship, HMS Victory! 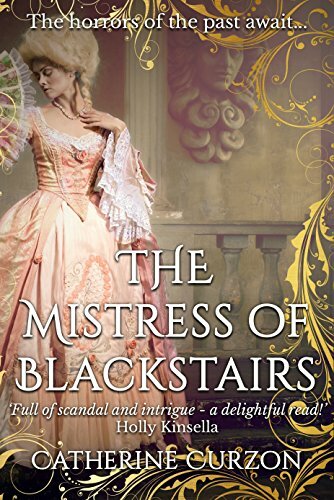 Piracy, romance, and adventure is a FABulous combination, don’t you think, Madame Gilflurt? After all, pirates were mercenaries, expert sailors sportin’ swagger. Whether they were born to the life and knew little else or were simply looking for adventure and the promise of gold, they upheld the code and put their brawny bodies and briny hides to good use. Only one thing contributed more to a pirate’s prosperity than surviving untold hardship — a ship with extraordinary speed acting as a mighty sword unsheathed. Add a black flag for terrifying effect and readers have swashbuckling magic. On the opposite side of the spectrum, seafaring men with hearts of gold swore to uphold duty, honor, and country. In my Nelson’s Tea Series, Lord Admiral Horatio Nelson has been charged with protecting England’s shores. 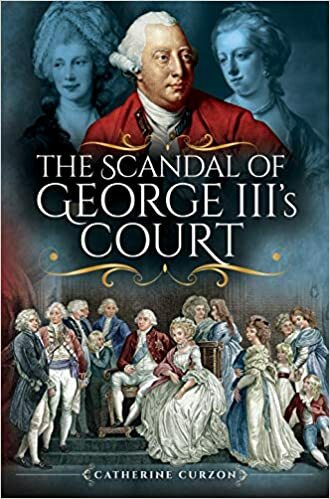 During his recuperation from another bout of malaria, he enlists the aid of Lord Simon Danbury, a former naval officer who once served with him aboard the Agamemnon. 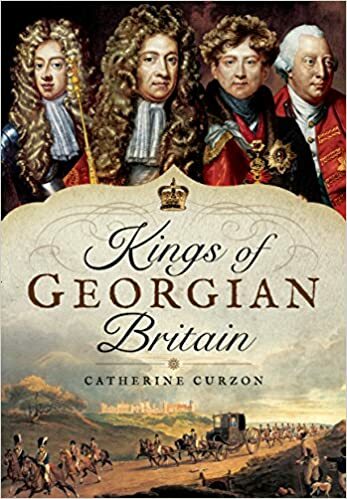 Together, they scour the country for scoundrels of every persuasion who’ve charted England’s coasts, lords, captains, and pirates, first sons above suspicion, willing to serve King George in clandestine operations from 1801-1806. A diligent tea drinker, Nelson nicknames his mercenary group ‘Nelson’s Tea’. 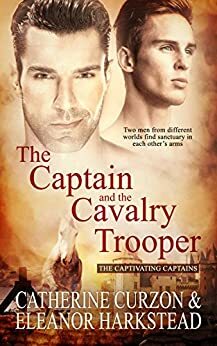 When I was looking for a setting and plot for my characters, I quickly got swept away by the passionate intrigue and hot-blooded accounts of heroism Horatio Nelson experienced. He wasn’t a saint by any stretch of the imagination, but his sense of duty was infallible. From the moment he first stepped onto a pristine battle ready ship at twelve years old, he won a place in history. A born leader, he turned life-altering moments into tests of humanity. No one, and nothing, rivaled Nelson’s tactical genius. Consider this: Nelson launched his career without sonar and radio. His uncanny nautical skills propelled him from motherless seasick midshipman to malaria-plagued, one-armed, partially blind Admiral aboard the HMS Victory and a fate unifying generations of Britains. To this day, toasts are given in his honor to celebrate the victory at Trafalgar and the Royal Navy’s rise to power. Give a man a good ship and he can do extraordinary things. That ship is the 7th Victory and it survives as a lasting legacy of what courage and one man’s determination can do. 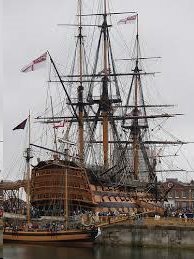 When the Senior Surveyor of the Navy, Sir Thomas Slade, was given his 1st and last opportunity to design a First Rate Ship, he laid the HMS Victory’s keel at Old Single Dock in Chatham Royal Dockyard on July 23, 1759, without knowing his ship would sail into legend. 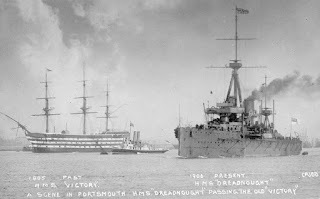 Displacing 2,000 tons, the Victory was the largest warship ever built for the English fleet. Measuring 227 ft 6 inches long (with 186 ft long decks), and a 52 ft beam, she drew 25 ft of water ‘at mean load’. She inspired song. Hearts of Oak is a seafaring tune written during the Victory’s construction. Her hull consists of 6,000 oak trees (roughly 100 acres of woodland or 300,000 cubic feet, enough to build 400 single family dwellings). Heavy clay found in the Weald forests of Kent and Sussex provided robust British Oak, 90% of the Victory’s timber. Acorns take 100 years to grow tall and strong enough for ship building. Amazingly, some of the stockpiled timber at Chatham dated back to 1746, which means her timbers can be traced to oak planted during Oliver Cromwell’s time. Other trees used in various sections of the Victory’s five decks were pine, fir, spruce, and beech. HMS Victory is so colossal it took 6 years and 2 months at Chatham, under a temporary roof at £63,176 to build her. She requires approximately 22,880 fathoms of hemp rope (26 miles) in 19 inch down to ¾ inch circumferences and carries 37 sails, including 22 spares. It would take 83 days for 22 men to create one suit of sails by hand at an estimated 64,000 yards of seaming, each man completing 3,200 yards of work. No wonder she carried an average crew of about 850 during war and 650 during peace, depending on the availability of men at her service. She was a lucky charm. Admirals appreciated her combined firepower, speed, size, maneuverability, and her capacity to shrug aside heavy seas, not to mention her cargo space. Provisions included: 300 tons of Water, 50 tons of Fuel (Coal and Wood), 20 tons of Timber, 30 tons of Salt Meat, 45 tons of Biscuits, 10 tons of Flour, 15 tons of Pease, 2 tons of Butter, 50 tons of Beer, 35 tons of Powder, and 120 tons of Shot stored in wooden barrels, 4 ½ ft long and 3 ft wide. Added to this weight was 257 tons of pig-iron ballast. Positioned over that, 200 tons of shingle for bedding down the lowest tier of water casks. On May 7, 1765, the Victory floated out of dry dock before several lords of the Admiralty and government ministers, including William Pitt, the Edler. Several immediate setbacks forced her to be laid up in reserve — Ordinary — for 13 years. In December 1776, she was brought back into service and docked for repairs, becoming, for the first time, a fully-fledged warship. When her updated provisions were finalized in 1778, the Victory sailed into history displacing 3,500 tons with all 36 sails set (almost 4 acres of canvas). Her baptism under fire occurred at the battle of Ushant in 1778 with another confrontation to follow there in 1781. She was the flagship of Admiral Samuel Hood off the coast of Toulon in 1793. Off the coast of Corsica in 1794, Captain Horatio Nelson was treated by the Victory’s surgeon after losing sight in his right eye. HMS Victory saw action against France and Spain in the early hours of February 14, 1797 off Cape St. Vincent under Admiral Sir John Jervis. After the battle of Cape St. Vincent, the Victory was paid off at Chatham on November 26, 1797. As her crew scattered to the four winds, she appeared destined for hospital duty or as a prisoner of war ship. In December 1799 repairs were ordered and when she was recommissioned in 1803, she was paired again with the man who would make her famous — Admiral Horatio Nelson. Nelson celebrated his 47th birthday on board the Victory on September 29, 1805 at a dinner with 15 senior officers. At the gathering, Nelson explained his battle plans for Trafalgar utilizing the Nelson Touch, an all-out aggressive assault to cut through the enemy line in more than one place to divide and conquer. 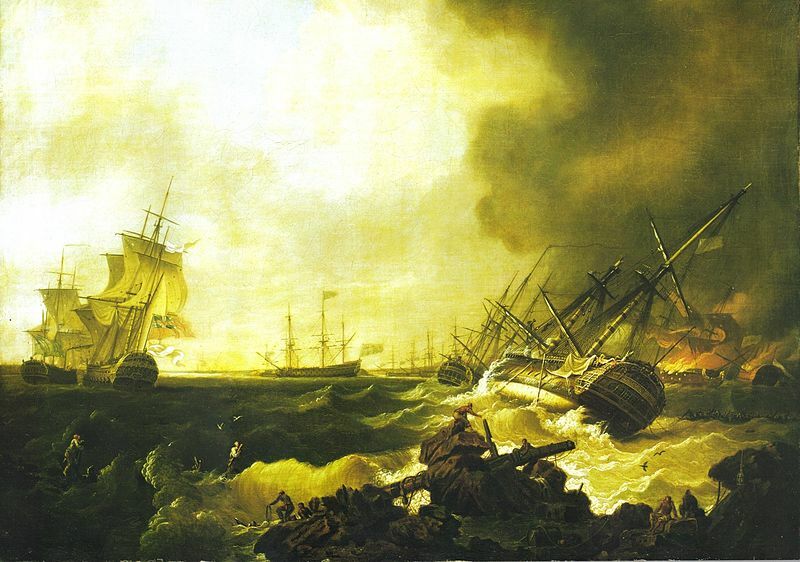 The day to enact his strategy came on October 21, 1805 with a storm threatening off the coast of Trafalgar. As the battle progresses — the Victory devastates ships around her from every angle. Her upper deck is raked for mass boarding as Nelson and Hardy paced the quarterdeck, the image of poise. 1:15 p.m. — Nelson is hit by a sniper’s bullet. “They have done for me at last, Hardy… My backbone is shot through.” Marines and sailors help Nelson below, masking his face to keep anyone from losing morale. Nelson’s death plunged England into mourning. The method of transferring his body on the long journey home — pickling him in brandy — shows how steadfast his men were in honoring their fallen admiral. As a reward for her service, Victory resides at No. 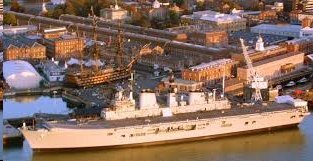 2 Dock in Portsmouth as a living monument to the bravery and courage shown at Trafalgar and by countless sailors who served on her decks until March 20, 1922. Without HMS Victory, Nelson may not have carved out a lasting niche in history or launched his tactical genius. Without Sir Thomas Slade, the Admiralty Board, Admiral Nelson, and the stanch conservation of the British people, the Victory would not be what she is today — a 256 year old living legend. 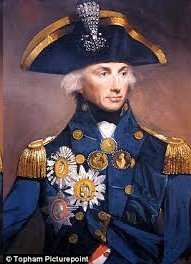 It’s my fervent hope that I do Admiral Horatio Nelson justice in my Nelson’s Tea Series. I have no doubt Nelson and HMS Victory will continue to fascinate countless people for years to come. 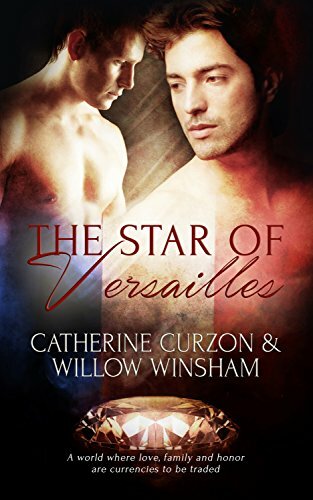 Give a historical author passionate intrigue and hot-blooded accounts of heroism and he/she can do extraordinary things. Everything Simon and Gillian have done has led to this moment… Will it be too late? Baroness Gillian Chauncey thought she’d seen everything during her years of devotion to England. 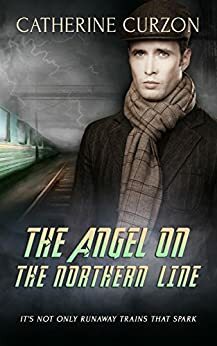 But as war escalates and political bonds are severed, a devastating betrayal forces Gillian to make a life or death decision to save the man she loves. Lord Simon Danbury’s loyalty to the crown has never been questioned — until now. As death’s darkening veil cascades over London, a hostile mole inside Nelson’s Tea tries to assassinate him. 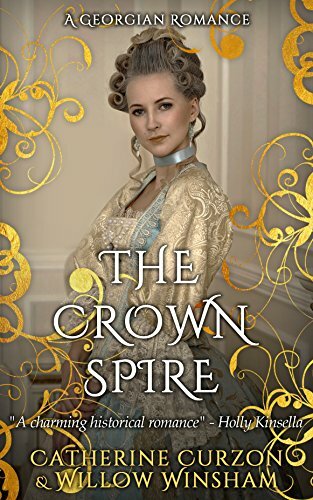 Surrounded by the greatest spies in England, only one thing stands to defeat him — losing the one woman who has made life worth living. 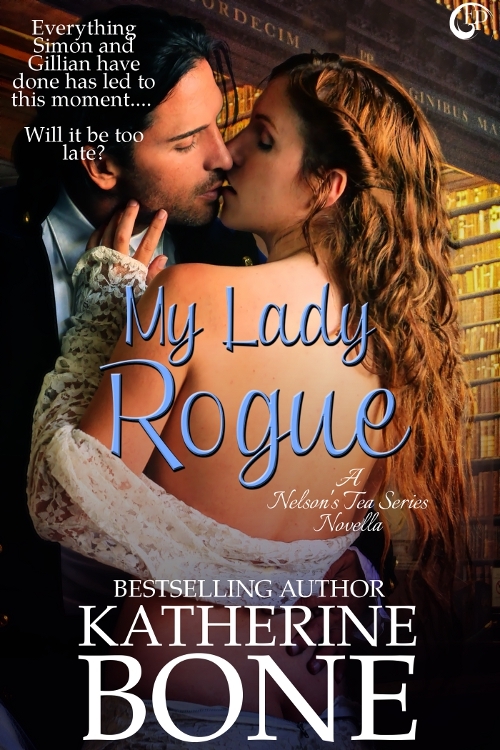 Bestselling Historical Romance Author Katherine Bone has been passionate about history since she had the opportunity to travel to various Army bases, castles, battlegrounds, and cathedrals as an Army brat turned Officer's Wife. Now she lives in the south where she writes about Rogues, Rebels and Rakes, aka Pirates, Lords, Captains, Duty, Honor, and Country and the happily ever afters every alpha male and damsel deserve. Written content of this post copyright © Katherine Bone, 2015. As summer flies past, settle back with a cup of tea and enjoy the the bountiful delights of the week just passed! 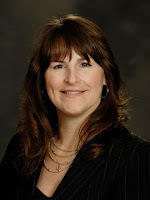 Jeanna Ellsworth shares a feast of romantic fiction tropes! 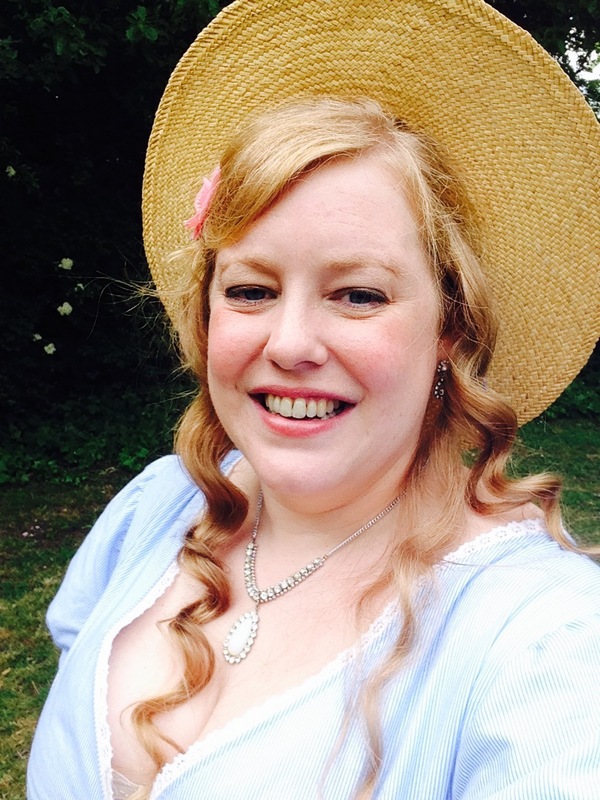 Jane Austen at School: "I Could Have Died of Laughter"
It's my pleasure to welcome the wonderful Joana Starnes to the salon today, with a look at the lighter side of the Peninsular campaign. 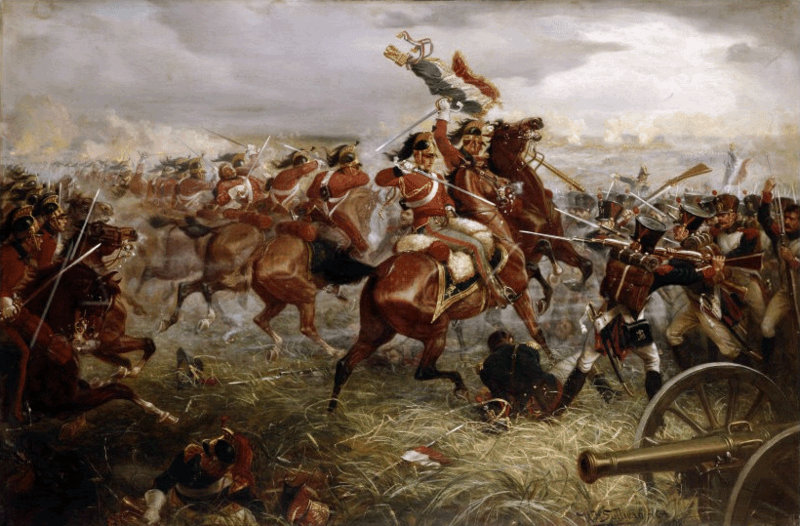 In this year of the Waterloo bicentenary, there are so many illuminating posts on various historical sites, detailing the events and describing the countless other military engagements that have led to the ultimate Allied victory against Napoleonic France. I have taken the liberty to address a lighter side of the gruesome conflict that had gripped Europe for such a length of time. In doing so, I am perhaps reinforcing the stereotype. It is often said of Regency aficionados that they view the era through rose-tinted glasses. That they choose to focus on the glamour, the balls, the manners, the high-society people in elegant apparel – whilst ignoring the dark realities of the time, such as the plight of the dispossessed, the lengthy wars that have crippled the country or the plain fact that even the muslin-clad ladies whose carefree lifestyle they admire were not immune to the tragedies of death in childbirth or the ravaging effects of tuberculosis and all manner of other diseases that threatened to carry them off, before the happy advent of antibiotics. All this is true. The same is said in some circles of Jane Austen: that she had insulated her work from the trials and tribulations of the outer world, making it all about the frivolous pursuits of courtship and marriage. Yet for my part I agree with those who posit that it was done on purpose. Yes, there were grim realities that had affected her deeply. She was touched by the Terreur, through her cousin Eliza de Feuillide, who lost her husband to the guillotine. She had brothers in a navy at war and would spend a large proportion of her life wondering if she would ever see them again. We all need our forms of escapism from unforgiving reality. So how can we disagree with her when she writes, in the closing chapter of Mansfield Park ‘Let other pens dwell on guilt and misery. I quit such odious subjects as soon as I can […]’? Which is why today I have chosen to share some delightful passages I have found in Sir Arthur Bryant’s ‘Years of Victory’, when I was researching the Peninsular Campaign in the hope of giving some grounding and colour to my novels. I am not altogether sure how many of my readers are actually looking for historical detail, but I must admit I enjoy the research immensely. Somehow, it anchors the narrative into reality – and when by some fortunate circumstance the events I imagine happen to fit chronologically with real occurrences, it feels like the cake has just acquired an extra layer of delicious icing. To return to Sir Arthur Bryant, his account of events preceding and following the Year of Waterloo makes for a gripping read. There are stark accounts of battles and heavy losses. There are descriptions of atrocities, shockingly on the par with far more recent conflicts. However, there are also heart-warming stories, such as the one of the night of March 19th, 1810, when a greatly superior force of Voltigeurs attempted to surprise a detachment of the 95th Rifles at the bridge of Barba del Puerco. A French general had learned from an informer that the English officers were in the habit of imbibing liberally at nightfall, so the French sought to creep upon them. Yet the outcome was a far cry from what they had expected. The sentry’s alarm had roused the impeccably trained men in a matter of minutes and, before they knew it, the entire regiment was charging down the hill towards them in flapping shirts, but with cartridge boxes at the ready, led by Colonel Beckwith in his dressing-gown, night-cap and slippers. To me, this paints a wonderful picture. There is the humorous element of course – how can there not be, when we are talking of the commander of the regiment leading his men in nightcap and slippers? – but it is also a story of valour, of rising to the occasion in ways that confounded their opponents. I was also entertained by the following account, irreverent as it might be. At Villa Viçosa, the officers of the 23rd Light Dragoons – survivors of the charge at Talavera – dressed up one of their confederates as an English bishop in red velvet breeches, white gaiters trimmed with lace, an old dressing-gown and clerical band and collar and, arming him with a long cane stuck into a large ripe lemon, processed behind him bearing their helmets in their hands, while the devout locals cheered in a frenzy. 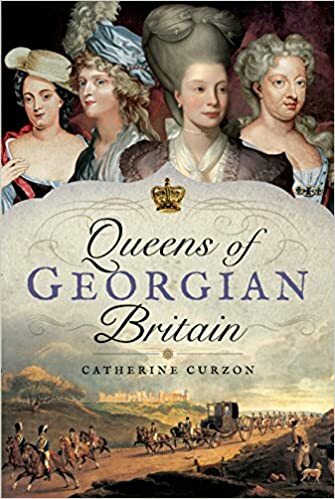 There were more stories on the par with this, some garnered from Captain Gronow’s ‘Reminiscences and Recollections of Camp, Court and Society 1810 – 1860’. Gronow told of wild Captain Dan MacKinnon, who had the effrontery to impersonate His Royal Highness the Duke of York with great pomp and circumstance at a grand banquet given in his honour by the mayor of St Andero – until, wearying of the evening’s tedious gravity, he suddenly plunged head-first into a bowl of punch, to the surprise and extreme indignation of his solemn hosts. He also told of the same narrowly missing a court-martial when he contrived to disguise himself as a nun in Vizeu Convent near Lisbon, on the day when their Commander-in-chief was to visit the sacred place, and regaled Lord Wellington with the shocking spectacle of a nun turning on her head and throwing her heels in the air to reveal not only a wealth of petticoats, but also the boots and breeches of a British officer. I have neither friends nor family in the armed forces and thus no idea of the ways in which modern-day soldiers seek to blow off steam. Yet, wearing the same rose-tinted glasses, I find that the above-mentioned anecdotes are a reflection of simpler times, when people would be able to take delight in much simpler pleasures; when grown men and women would amuse themselves at Christmas with tricks and games that modern-day children would scoff at. I cannot say I would be prepared to live in those times – I value the access to state-of-the-art healthcare too greatly. Nevertheless, exploring it from the relative tranquillity and unquestionable comfort of the twenty-first century is very rewarding – as is to occasionally ‘party like it’s 1799’. Note: All Peninsular War references are from Sir Arthur Bryant, ‘Years of Victory 1802 – 1812’, Collins, London (1945) pp. 362-6 and 377-95. She is currently working on ‘The Unthinkable Triangle, a Pride and Prejudice Variation due to be released in September 2015. On May 5, 1720, a trade ship, named the Grand Saint Antoine and skippered by a Captain Jean-Baptiste Chataud, sailed into Marseille having just arrived from an area in the eastern Mediterranean known as Levant. When it docked, the Grand Saint Antoine had a black cloud hanging over it. Its previous attempt to dock at Livorno had been refused because of plague-like symptoms and because of the death of a Turkish passenger who had been thrown overboard. When the ship finally docked at Marseille, several crew members were ill, including the ship's surgeon. So, a perfunctory quarantine was instituted by port authorities and the ship placed in the lazaret (a section designated for quarantine). But the quarantine did not hold because some crew members bribed their way off and gained their liberty. Marseille (sometimes spelled Marseilles by the English) was situated at the end of a gulf containing one of the largest and best harbors in the Mediterranean. At the time it had a monopoly on French trade, partly due to its commerce with the Lavant area. Marseille was attempting to expand its monopoly into the Middle East and with emerging markets in the New World, so the idea of the plague made some in Marseille nervous that fear would hamper trade expansion. Further, as physicians disagreed amongst themselves as to whether or not the plague was present on the ship and because the ship carried vitally needed silk and cotton for a great fair planned in July at Beaucaire, influential Marseille merchants pressured port authorities to lift the quarantine. The decision to lift the quarantine, compounded by the presence of infected crew members already loose in the city, proved disastrous and resulted in the last large epidemic of Yersinia pestis, which is the bacterium responsible for pneumonic, septicemic, and bubonic plagues. Within a couple of days, infirmaries and hospitals were overrun with plague victims. As the "undoubted marks of bubos [appeared]," the public began to panic. Symptoms were publicized and claims were made that the "distemper begins with a violent Head-ache, afterwards the Patients are seiz'd with a Fit of Trembling and die in 6 Hours Time." Even with the knowledge of what could be expected, no one could escape the city because troops surrounded it. Later, hoping to halt the plague, Marseille city officials built a mur de la Peste (a plague wall). But no matter what actions city officials took, the death toll continued to climb and the deep-ditch mass graves to hold the dead could not be dug fast enough. As the plague raged on, deaths became constant, and, reportedly, nearly 1,000 people died in a single day. This meant care by Marseille physicians was more than impractical, it was impossible. Some victims became so delirious from the disease, they wandered the streets, before falling down exhausted. Then, "unable to lift themselves from the ground, they expired on the spot, remaining fixed in strange and distorted attitude in which their agonies had left them." To prevent such a horrible death, some people who showed signs of the plague became intent on killing themselves, and, in order to avoid suffering, they jumped out of windows or drowned themselves in the sea. Several other things happened as victims of the plague began to increase. Homes, churches, and warehouses began to be filled with the dead. Corpses were placed everywhere, in attics, basements, and storerooms, and it was there they decayed and rotted until someone could remove them. As physicians could do little to help sufferers and the living were often petrified of catching the disease, the unafflicted began to carry their afflicted relatives outdoors to die. They usually placed them under shady trees to expire and that is where the person's corpse remained until it was removed. But soon there were not enough graves to bury the dead, and alternative measure had to be taken. With houses, businesses, and churches filled with dead bodies and with no indoor areas left to put corpses, Marseille residents began putting their dead relatives outside on sidewalks or streets. This resulted in hundreds of corpse piles and thousands of rotting and pestilence-ridden corpses scattered throughout the city. Worse still were groups of prowling dogs that began to mutilate the corpses. To control this unpleasant menace and because it was thought dogs could "imbibe the contagion [and transmit it to humans]...a pitiless warfare was commenced against them." This resulted in thousands of dead dogs being thrown into the port and fishermen being ordered to drag them out to the open sea because of the stench. To get rid of the corpses, Marseille authorities tried several things. They hired country people "at high wages" to remove the corpses, but many of these corpse removers became ill themselves and perished. A detachment of hardened convicts was then hired and promised their freedom if they removed the corpses. These criminals willingly applied themselves, but they also plundered families and were so unfeeling and so insolent in their duties, Marseille residents complained loudly to authorities. Next, soldiers were drafted and forced to haul away putrefied bodies, often by hoisting them over their shoulders. It was a horrible situation and many people were petrified to go outdoors. The stench from rotting corpses and dead dogs was carried on the wind and for adventurers daring enough to brave the outdoors, or for country visitors curious about what was happening in the city, not only did they have to smell the flesh of the rotting dead but they also had to traverse over dead bodies and past piles of rotting corpses. 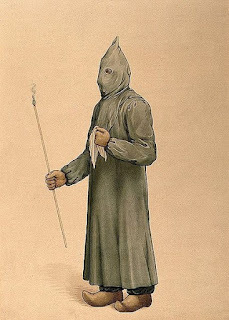 At the height of the plague, some of these outdoor adventurers, known as batons de St. Roch, were so fearful of being touched they used batons (poles) eight to ten feet long to maintain a safe distance from everyone, including any dogs lucky enough to have survived. For a time nothing stopped the plague: no amount of city intervention—walls, troops, or burials—nor regal or priestly intervention slowed it, and it terrified Europe. 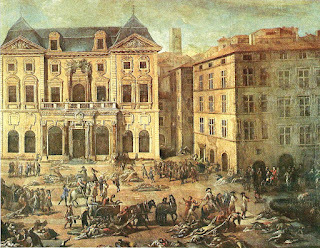 As the Marseille plague raged on, it touched everyone living in Marseille and beyond. One eighteenth century newspaper reported in October 1720 (the height of the plague) that "Marseilles is entirely ruin'd, above 80000 Persons have died there, and abundance die daily still, so mortal and so stubborn a Plague was never seen." However, the newspaper appears to have exaggerated the death toll. Although the plague devastated the city, today's estimates are that about 50,000 Marseille inhabitants died, which was more than 50% of it 90,000 inhabitants. Moreover, another 50,000 people died as the plague moved northward through France. When at last Marseille was declared free of contagion (which took about two years), one person wrote, "We owe our deliverance, the cessation of this terrible scourge, to the mercy of the Lord, who was pleased to relent in his anger at the prayers of our bishop...to the zeal of the magistrates and citizens who assisted his efforts...and, above all, to the liberality of the illustrious prince who governs us...Happy will it be the remembrance of our past misfortunes serve us as a warning for the future, and inspire us with wisdom to use all human means to guard against the renewal of a catastrophe so deplorable...and to entertain a just fear of exciting once more the anger of the Lord against us, and drawing down on our heads a judgment yet more dreadful." Geri Walton has long been fascinated by history and the people that create it. 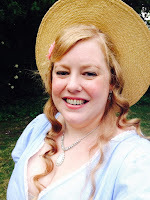 Their stories and the reasons why they did what they did encouraged her to receive a degree in History and to create a blog focusing on her favorite time period, the 1700 and 1800s. Her first book, scheduled for publication in 2016, focuses on Princess de Lamballe, friend and confidante to Marie Antoinette. 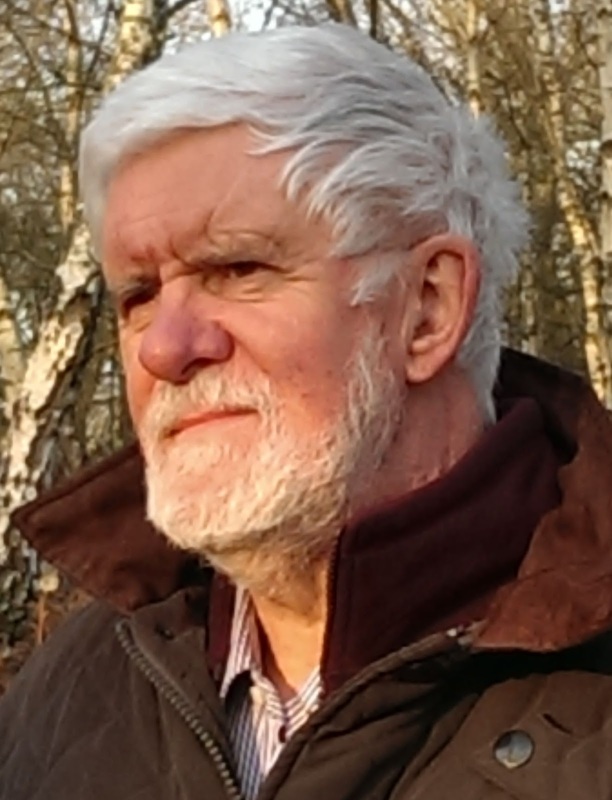 Written content of this post copyright © Geri Walton, 2015.